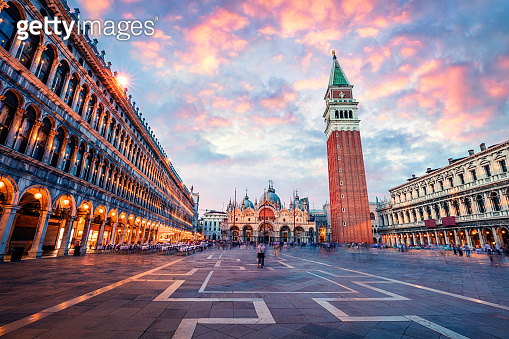 Fantastic sunset on San Marco square with Campanile and Saint Mark's Basilica. Colorful evening cityscape of Venice, Italy, Europe. Traveling concept background. Artistic style post processed photo.